Bank stocks have climbed substantially this week. 10-year Treasury yields now stand in the 3% range; moreover, the European Central Bank (ECB) now stands ready to bring its asset purchases to a close. This is good news for the financial industry as banks tend to see increased profits in a higher-interest-rate environment. Moreover, this will return banks to something closer to market-based banking. In recent years, various central banks loaned money to banks at artificially low rates. While this allowed consumers to take out loans at lower interest rates, it reduced deposits and made banks more dependent on the Federal Reserve. Now, banks face more pressure to attract capital on their own. This means they will offer higher interest rates to depositors. Consequently, borrowers will pay higher interest rates to maintain or possibly expand margins. 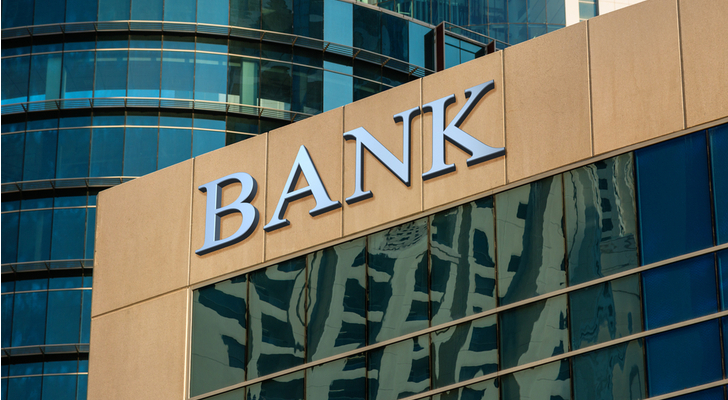 While most banks will benefit in such an environment, these banks will offer both higher profits, a lower-cost entry point and changes within the company that could lead to more growth in years to come. 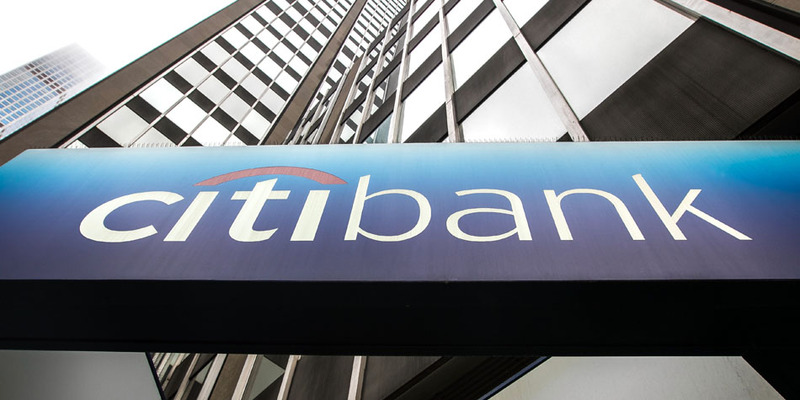 Citigroup Inc (NYSE:C) stands as the smallest of the so-called “Big Four” banks, the Big Four consisting of Citi along with JPMorgan Chase & Co. (NYSE:JPM), Bank of America Corp (NYSE:BAC) and Wells Fargo & Co (NYSE:WFC). The reason for this small size likely relates to the scandals facing the bank. It has not faced the scandals of fellow Big Four peer Wells Fargo. Also, many of the scandals happened in South Africa and Australia, as such they received less press in the United States. Still, Citi will have to spend time and money on rebuilding its reputation. However, I believe it is damage that can be repaired. The scandals at Wells Fargo did not destroy that company. In the same manner, I believe Citigroup will recover as its scandals fade in the headlines. Today, C stock has become the only Big Four stock to trade below book value. Citigroup also supports the lowest forward price-to-earnings (P/E) ratio of the Big Four stocks. At the current consensus estimate of $6.47 in net income for 2018, that takes the forward P/E to about 10.6. And with that P/E ratio of 10, analysts estimate 14.3% profit growth in 2019 and over 23% in 2020. Yes, the recent scandals create some risk. However, buying C stock now affords the rare opportunity of buying double-digit profit growth below book value. Such bargains rarely appear in today’s stock market. 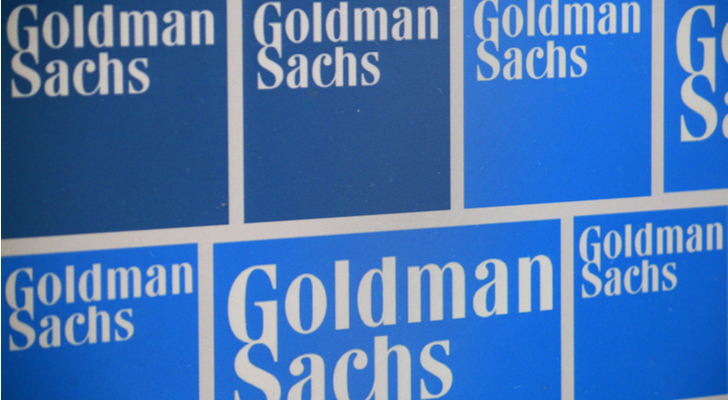 Goldman Sachs Group Inc (NYSE:GS) remains better known for investment than commercial banking. For decades, Goldman served as a resource for wealth management as well as the company that helped companies launch IPOs. This reputation became further cemented as a former Goldman CEO orchestrated a bailout of the financial industry in 2008. However, that reputation could change. Almost 20 years after the government removed the wall of separation between commercial and investment banking, GS appears ready to begin a commercial banking business. This move has been in the works for some time. In 2015, it began exploring a move into the consumer lending business. GS also acquired $11 billion in deposits by purchasing a deposit portfolio from General Electric Company (NYSE:GE). Such a move allows Goldman to offer everyday banking to individuals as well as manage their investments regardless of success level. Despite this goal, GS stock trades at a low valuation. Consensus 2018 earnings of $23.28 take its forward P/E to just above 10. In 2017, GS would have earned $19.76 if not for the one-time charges related to the most recent tax reform act. That gives Goldman a 23% profit growth rate for 2018. Although analysts predict slower profit growth for 2019, they expect it to return to double-digit rates in 2020. This growth, along with a more direct working relationship with average Americans, should help GS stock improve its image and exposure. Cincinnati, Ohio-based Fifth Third Bancorp (NASDAQ:FITB) operates as a regional bank in the Upper Midwest and the Southeast. It was established in 1871 and grew by acquisition. Like many banks, it was nearly wiped out by the 2008 financial crisis. However, since its stock hit $1.01-per-share in early 2009, it has repaired its balance sheet and FITB stock has seen a steady rise upward. It trades at around $31.50-per-share today, its highest levels since the crisis. 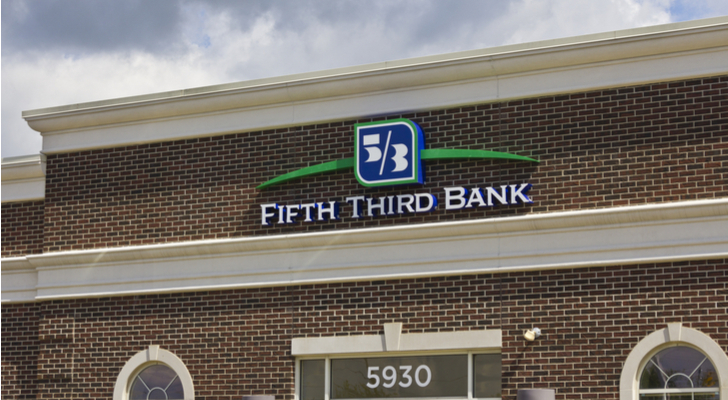 Fifth Third stands as the 13th largest bank in the country. Despite $141 billion in assets, it pales in comparison to the size of the Big Four banks. Its size has not stopped FITB from winning accolades for financial technology implementation and helping customers reduce their debts. In fact, its executive VP, Tim Spence, won a Digital Banker of the Year award. Adding features such as an automated digital advisory platform for a fraction of the cost of traditional advisors likely helped Fifth Third win this award and attract customers. Despite the company’s technological advances, FITB stock still trades at a low valuation, especially given its projected growth. Consensus profit estimates for 2018 now stand at $2.47-per-share. That places the P/E ratio at about 12.8. Wall Street also estimates an average of 13% profit growth over the next two years. This places the price-to-earnings-to-growth (PEG) ratio at just below 1. The S&P 500 average PEG stands at about 1.33. This low valuation, along with its focus on both technological advancement and expansion, makes FITB stock worth a look. Article printed from InvestorPlace Media, https://investorplace.com/2018/06/3-low-cost-bank-stocks-move-market-higher/.